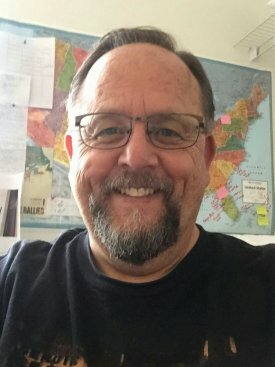 Dave Mullen is our delivery professional. He has delivered, set up, and upgraded machines, many different brands in 18 different States. Since 2003 he has delivered well over 200 machines. He loves traveling and meeting all of the wonderful new and used machine owners. He installs, adjusts, and trains in the place of the installation. Call Quilt Central Academy to purchase your new or used quilting machine. 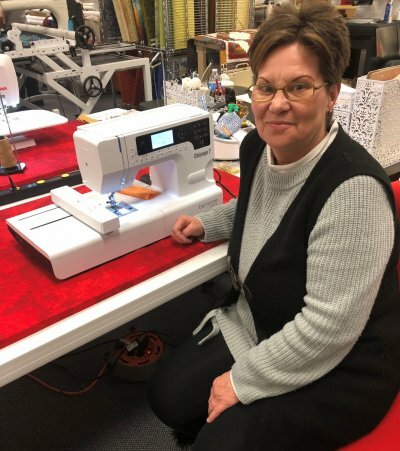 Manuela has been working at Quilt Central for one year, and she has enjoyed learning about all the machines and products involved in sewing. She now enjoys spending time with customers and showing them how our products work. Our quilt finishing specialist! Sewing her first garment in 5th grade, Vicki has decades of experience behind-the-wheel of a sewing machine. She paid her way through college working at a tailor shop in Madison Wisconsin, learning garment alterations from an old-school master tailor. After working at bridal shops and tailor shops, she has spent 20 years as a self employed tailor. Vicki pieced her first quilt in 1979. Since then, she has had the pleasure of creating numerous other quilts. 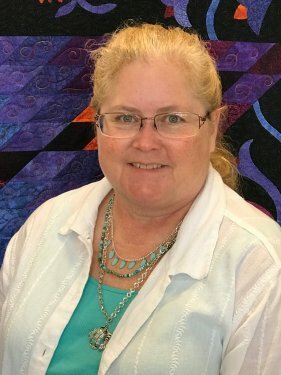 She has experimented with many types of quilts and techniques; traditional, modern, machine embroidered, miniature, applique, hand quilted, and paper foundation piecing. 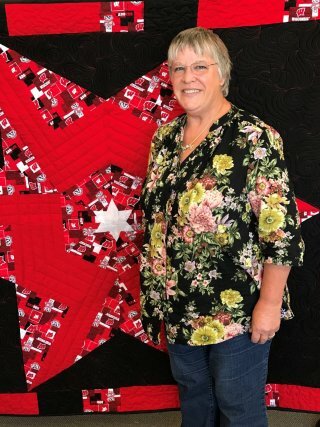 Vicki is now learning the art of longarm quilting under the guidance of Janie Donaldson Mullen, owner of Quilt Central an award winning quilter. You cansee some Vicki's work hanging in the store. Started teaching and digitizing embroidery in 1998 while working at a Bernina store in Rochester, MN. 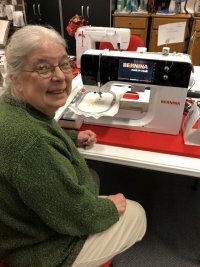 Joyce has recently retired but wanted another fun job doing embroidery, so she started working at Quilt Central teaching embroidery. Quilting has been a large part ofmy life, starting with tied quilts we made to keep warm with my Mom, to baby quilts for my children, then full sized quilts as they left home. My start in quilting was back in the day when all "real" quilts had to be hand pieced & hand quilted. Now the wonders of rotary cutters & all sorts of rulers & cutting boards have made quilting so much easier that far less time is spent making so more quilts. Most of the quilts I do are for Project Linus. Two years ago I set a goal of one quilt a week and was able to not only make 54 of them for project Linus but to also make a few quick quilts for others. Since making a quilt fast is one of my goals, I like to try out new ideas & seeing what happens. That's what happened with this 6 point star. I wondered what would happen if I put tow fat quarters together, trimmed them to 18x21, since that was the most fabric that I could get out of a fat quarter after squaring it up, most of the time. The pieces were cut in half on the 21" side, stitched around the outside, & cut in quarters diagonally. Those 4 pieces were magical! All four diamonds turned out to be exactly the same size. I still haven't figured out how many combinations those pieces can be moved around too, to make different looking quilt tops from the same pieces. Changing the fabric colors and how they are mixed up after cutting will change everything too. I hope you enjoy putting this star together & go on to create other versions by yourself.